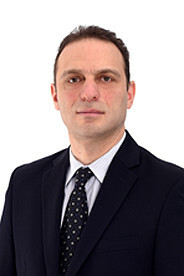 Bruno has practiced insurance defence and tort liability for over 20 years and is an experienced trial counsel. He has conducted numerous jury, and judge alone, trials throughout Ontario. He has also acted as counsel in tribunal hearings. His litigation practice includes defending a variety of clients in matters relating to occupier’s liability, automobile tort claims, commercial general liability matters, physical and sexual assaults, tavern liability, product liability, property damage and municipal/public authorities’ liability. While representing both insured and self-insured clients, Bruno has developed a trust that has led to a number of clients using him exclusively for all their defence matters in Ontario. He works with his clients to ensure that litigation is handled in a manner that is consistent with his philosophy of achieving the best result while ensuring that legal costs are contained. Bruno is a member of the Law Society of Upper Canada, the Ontario Bar Association and the Canadian Bar Association.